Some comments from the Seanad Debate last week are noted in the following Irish Times article from Friday April 11th 2014. Minister Hogan: “Many professional bodies have made outlandish quotations in my constituency and around the country,’’ he added. “I will not allow any professional body to view this as an easy way of engaging in financial extortion of people in rural Ireland who wish to build their own houses.’’ Listen to Seanad debate here. Self-builders have been very quick in challenging the Minister’s statements in the Seanad (see self-builder post here), while representative professional bodies (ACEI, SCSI and RIAI) appear reluctant to respond to comments like the above and previous similar statements made in the Dáil by the Minster (see similar Dáil comments here). 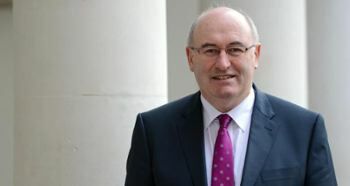 Minister for the Environment Phil Hogan has said that new building regulations will make it more difficult for unqualified people to pass themselves off as construction professionals. Earlier, Fianna Fáil Senator Paschal Mooney warned that the new regulations could create difficulties for people building houses in rural Ireland. He said, allowing for the usual exemptions, anybody wishing to build would be required by law to employ a professional engineer, architect or surveyor to inspect the property. The regulations, he said, would “place a hefty and disproportionate financial burden on one-off housing in the countryside’’. He added that, while the increase in building costs had been recognised by the department, there had been no action. Mr Mooney said there had been no public information campaign, leading to speculation about the consequences of changes which might harm the construction sector. “The level of resources being provided to local authorities to handle the deluge of information and paperwork that will result from the new system is questionable,’’ he added. Meanwhile, members from all sides of the House paid tribute to Seanad clerk assistant Jody Blake who is retiring after 23 years. Cathaoirleach Paddy Burke spoke of her expertise.